It’s pretty dang good. 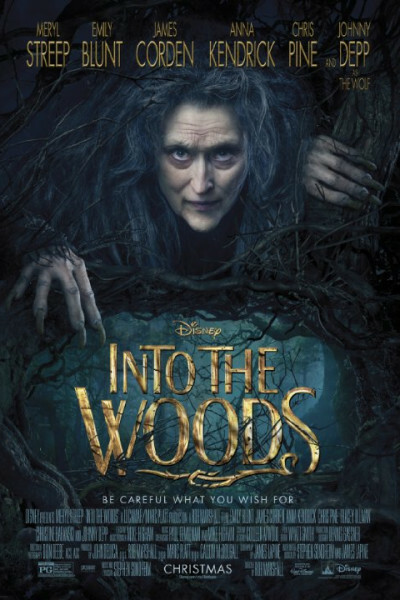 Absolutely NOT my typical fare, nor usual interest, but the songs are vibrant and dynamic and Meryl Streep, Emily Blunt, Johnny Depp and James Corden are strong. Any musical written by Stephen Sondheim, produced by Disney, and directed by Rob Marshall (Kiss of the Spider Woman, Damn Yankees, Cabaret, Victor/Victoria, Annie, Chicago and Memoirs of a Geisha) deserves consideration. Its major downfall is that it’s not quite a children’s movie, and it’s not quite “Chicago,” so it falls somewhere in that murky-gray place in between. Your kids will not love it, nor will you—but again, it’s populated with talent, is well-executed, and has great songs…but NOT the possessive sort (like Frozen) that your kids will remember, care about, or sing for days/weeks/months/years on end. Who knows, maybe that’s a good thing and the gift that keeps on giving [because it does not]?